So, my new chapter with Escape Adventures begins Tuesday when I go to Las Vegas to get behind the wheel of this vehicle. It's the Escape Adventures bike tour vehicle that I will use to pick people up for their bike tours. 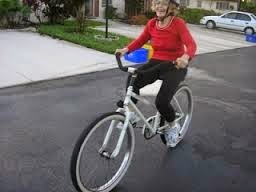 Here is a list of Escape Adventures FLORIDA bike tours. I will be driving this vehicle back to Florida with about 10 bikes or so. Check out our Escape Adventures FLORIDA bike video. Scenes from all our tours in Fla. are in the video. Beautiful banner created by Escape Adventures for the new Florida day tours. When I worked at the daily newspaper in Las Vegas, I used to admire Escape Adventures bike tours and this Jared guy, the founder and owner and marathon bicyclist who seemed to be doing 50 things at once while also biking through the night somewhere through Death Valley or Henderson or Utah or across the center of Nevada. 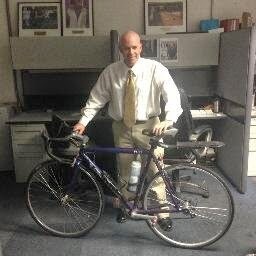 I'm a crazy bicycle guy who thinks up crazy bike rides like biking across the state of Florida from the Atlantic Ocean in Vero Beach to the Gulf of Mexico in Clearwater Beach in one day -- 175 miles all along State Road 60. I soon realized that ride would be a nice warm-up for Jared. I also got to know Jared's original, resourceful and unpretentious business techniques by writing about some of his Escape Adventures tours, such as three days in Utah with a tour guide named Merrick who enjoyed rolling out his sleeping bag and catching his Zs under the stars. Jared also loved mountain biking the North Rim of the Grand Canyon, so I wrote about one of his mountain bike festivals there. Life changed at my Las Vegas newspaper when casino tycoon Sheldon Adelson bought the Review-Journal nearly a year ago. I went newspaper job shopping and found a job in Vero Beach, Fla. about two hours or so north of my dad and my sister who both live in South Florida. I was hired by a fascinating weekly newsmagazine in Vero Beach to cover business news and I said good-bye to Vegas, the desert and this fella named Jared. So, I got to Vero in March with Pugsy -- the 17 year-old canine critter with the sweetest, most peaceful, zen-like personality you have ever seen this side of Mother Teresa. The new newspaper job was OK. The owner was a guy named Milt, another original. He's a deep-voiced former editor and writer at the Washington Post who carved out a lucrative news market on the Vero barrier island thanks to ultra-local hard-hitting local news coverage that had a certain literary bite to it. 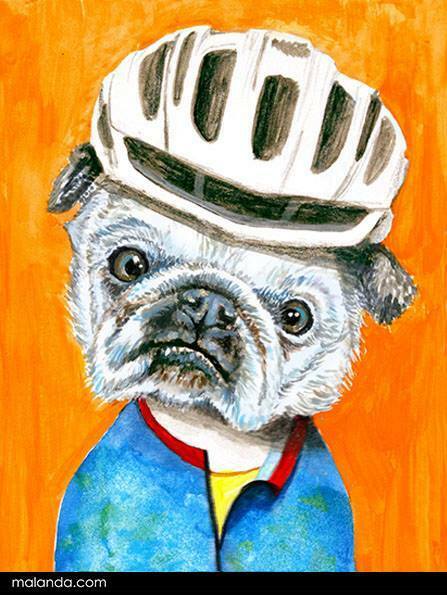 And I wanted to get back to the two-wheeled world. So, I made a pitch to Jared back in Vegas. 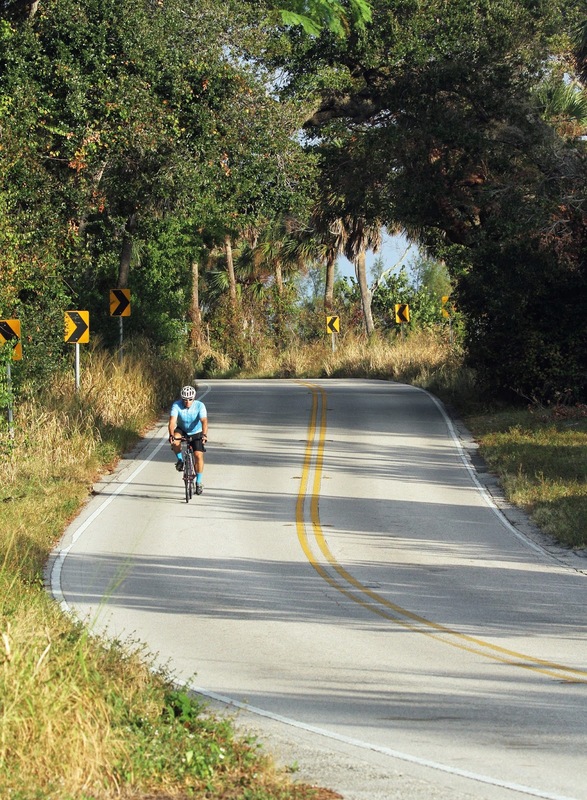 How about expanding East to offer day bike tours along the prettiest bike routes in Florida? I'll take guests out on these rides as an Escape Adventures employee and now you can say Escape Adventures offers tours everywhere from the Pacific Ocean to the Atlantic Ocean. I asked Jared to come to Florida. Bike with me on my favorite bike rides. And if the routes were awesome enough, fly your drone, capture amazing bike footage and spin your video magic with a Florida day tour promotion video. And he did just that. The video rocks. We biked seven different tours in 2 1/2 days covering 275 miles along routes in different parts of the state, from the Atlantic Ocean to the Gulf of Mexico. And at the coolest spots, we'd stop and Jared would take out his drone. Jared rode my 1993 Cannondale R-300 road bike with the downtube shifters (he didn't shift; he just kept the gear setting in one position to replicate his single-gear bike back home). And all the while he kept the drone in his backpack and piled up the mileage with that gear on his back. 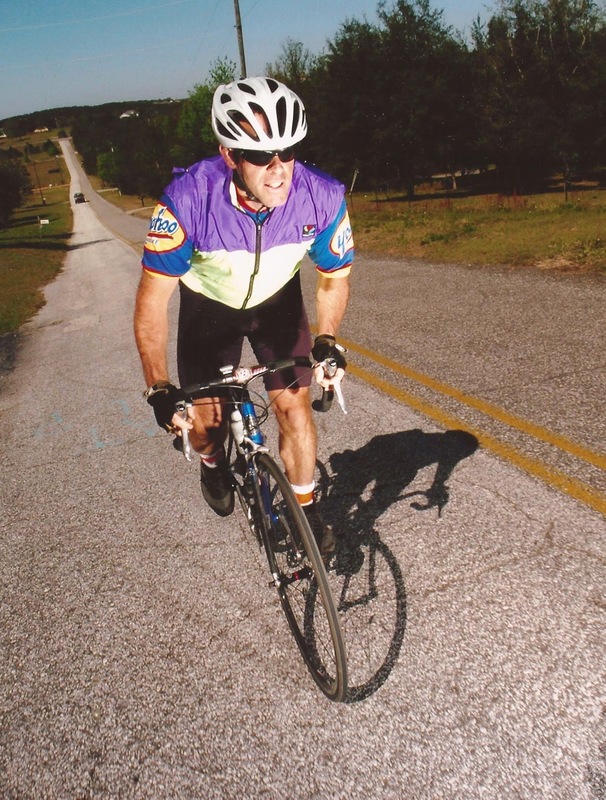 I had picked Florida's nicest bike rides -- the hills of Clermont and Mt. Dora in Lake County, the underrated Ormond Loop, and the Withlacoochee, Pinellas and Lake Okeechobee trails. These bike rides are like great, old-time friends. I knew whenever I returned to them, they would lift me up. And these rides didn't disappoint. Jared and I batted emails back and forth to reach an agreement. And now Escape Adventures will add some amazing bike tours to its stunning roster of great bike experiences out West. So, Escape Adventures is in launch mode for its new Florida day tours. Check out the terrific slate of Florida rides. 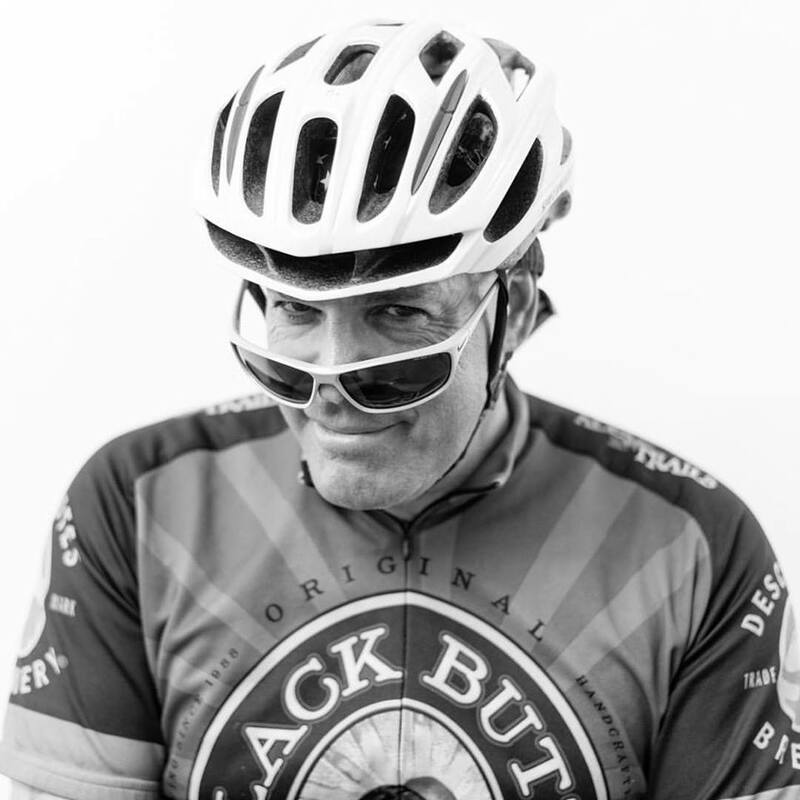 I've gone from working with senior writers at a weekly paper to now becoming co-workers and friends with a brand new group of can-do bicycle tour lovers who make Escape Adventures a leading bike tour company in this country. There's Heather, Brittany, Eric, Sally, Kevin, Merrick, Nikki and others who love to get people biking in special and inspiring places in our country. I can't wait for this new trip of my life to start. 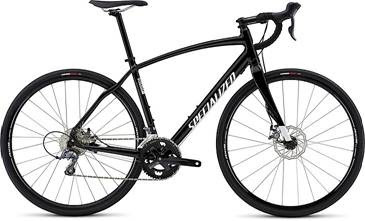 I'm back in the bicycle business. I am joining Las Vegas-based Escape Adventures and we are launching a new Florida bicycle tour operation that will feature -- at first -- seven beautiful day bike rides that are located in gorgeous settings from the Atlantic Ocean to the forests and hills of central Florida to the Gulf of Mexico. Here's a nice video taste of our featured rides. It's an honor to work with Jared and Heather Fisher -- two great bicycle people and community leaders from Las Vegas who own Escape Adventures and the Las Vegas Cyclery out of Vegas and the Moab Cyclery bike shop in Utah. Jared is the most original, unique, hard-working and hard-driving bicycle man in the business, and I found a kindred spirit who also believes in living a Bicycle Life. 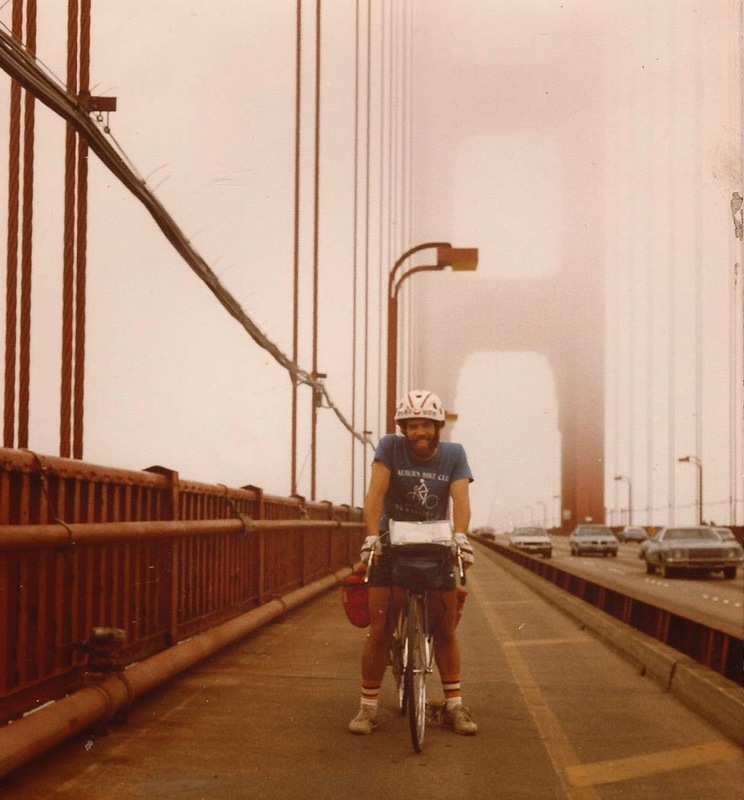 Jared and Heather started Escape Adventures 25 years ago and they have grown the bike touring operation into the premier bike tour business of the western United States. Here's a nice summary of this dynamic couple. It's an honor to work with Jared and Heather as they expand Escape Adventures into Florida. -- Vero Beach A1A Ocean Ride from Vero Beach to either the Sebastian Inlet or the Fort Pierce Inlet. This is a gorgeous ride along the Atlantic with not too much car traffic and access to the ocean. -- Jungle Trail is a serene ride on a hard-packed dirt road that runs along the Indian River Lagoon and through tranquil tree canopy in north Indian River County. 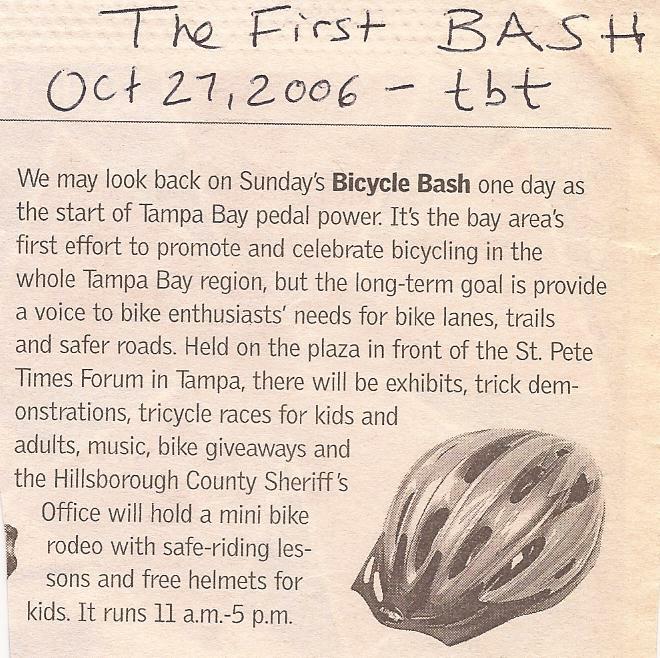 -- The famed Pinellas Trail, a beautiful trail ride that runs from St. Petersburg's waterfront through several Pinellas County downtowns to Tarpon Springs, the Greek City. -- The beautiful Withlacoochee Trail, known for its lovely tree canopy and rural setting about an hour north of Tampa. -- The rolling hills of Clermont and Lake County, nicknamed the "Alps of Florida," about an hour northwest of Orlando. -- The Lake Okeechobee Scenic Trail, featuring inspiring views from cycling the berm that surrounds the "Big Lake." -- The Ormond Loop, a spectacular bike ride that features the tree canopy of Tomoka State Park, and the watery vistas of the Atlantic Ocean and the Intracoastal. Stay tuned for more announcements as we prepare for our December launch. Ol' Rev. Hans here is roaming the Florida countryside on his bicycle after leaving Columbus, Georgia back on Sept. 16. I met him Friday morning in Fort Pierce as he came off the North Hutchinson Island bridge back on the Fort Pierce mainland side. He told me that he was at mile 1,998 of his trip and he has another 1,000 miles to go. Much has been written about our leaders not understanding the common man in our country and I would suggest a bicycle trip around the country to get to know our fellow Americans. 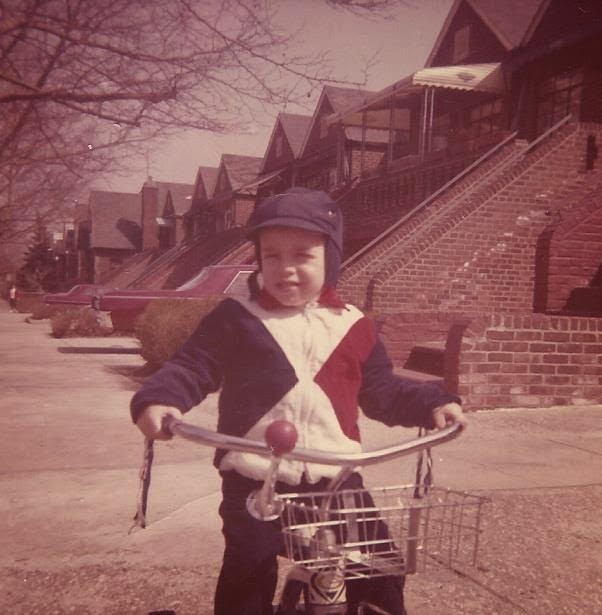 I suggested to my newspaper owner/publisher/editor that I bike around the Midwest at the time of the two political conventions to get a handle on what is on people's minds. Based on the fact that most TV and newspapers missed the ball on this year's election, it would have been a revealing assignment producing relevant stories. Bike lanes can be lovely amenities. But they also can be marred by debris. Because bike lanes are along the sides of the pavements, they often are filled with all types of debris, such as nails, glass, pieces of metal, and all kinds of garbage. Consider the 30 or so construction screws that covered a stretch of a bike lane on the eastbound 17th Street Bridge in Vero Beach this morning. I stopped and picked them up. But I do have to warn you that the eastbound bike lane does have shards of glass sprinkled along various sections of the bike lane. So, be careful and hope you don't get a flat. It’s the issue that just won’t go away -- here in Indian River County and across Florida. mostly for those two-ton motorized vehicles called cars. ways to limit the human road carnage. in the county, he noted. Services, was also in the house with its owner, Jim Udvardy, and his two staffers. Tomorrow,” message in South Florida. fatalities a year among bicyclists and pedestrians. lanes of traffic in between intersections. with more than 50,000 residents. and motorists in the way they interact with each other on the road. You're looking at five bicycles brought by folks in the McAnsh Park neighborhood to my little back yard bicycle party Sunday afternoon. I'll be dropping them off at Malcolm Allen's bike shop in Vero Beach, Orchid Island Bikes & Kayaks, where volunteers with the Vero Cycling bike club will fix the bikes and breathe new life into these two-wheelers to be distributed to the local homeless. Every bike has a story and this bike rehab programs keeps those stories alive. There's no substitute for an early ride before the sun comes up. It assures the day will have wonderful meaning regardless of what you do for the rest of the day. Figuring the best way to get to know a community is to bike it, about 30 bicyclists hit the road Saturday morning for a tour of Gifford. 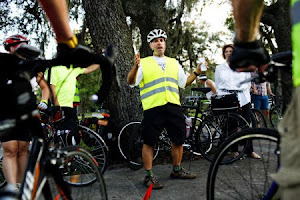 The Vero Cycling bike club joined forces with several Gifford community leaders to hold the "Gifford Bike Tour," pedaling several miles with pit stops at places such as Florida's oldest black church and the Gifford Youth Achievement Center. 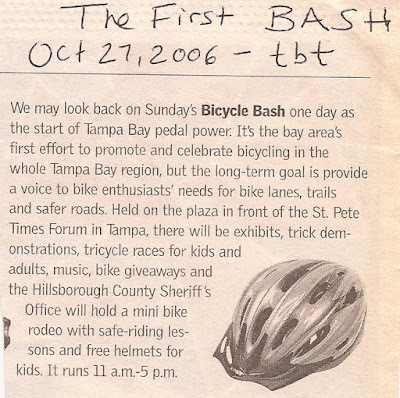 Gifford luminaries such as Freddie Woolfork, local NAACP leader Tony Brown and Sheriff's Deputy Theodore "Teddy" Floyd strapped on helmets and pedaled with the Vero Cycling members on a breeze Saturday morning. One of the most fascinating stops along the way was a chat at the Historic Macedonia Church, the oldest black church in the state of Florida. It was a reunion of sorts for Vero Cycling club president Sharon LaPoint, who used to teach at the schools in Gifford and enjoyed pedaling the tour. Saturday's ride was a special event ride for the bike club, which has more than 330 paid members.